JoAnne Estes was honored by a luncheon on April 23. 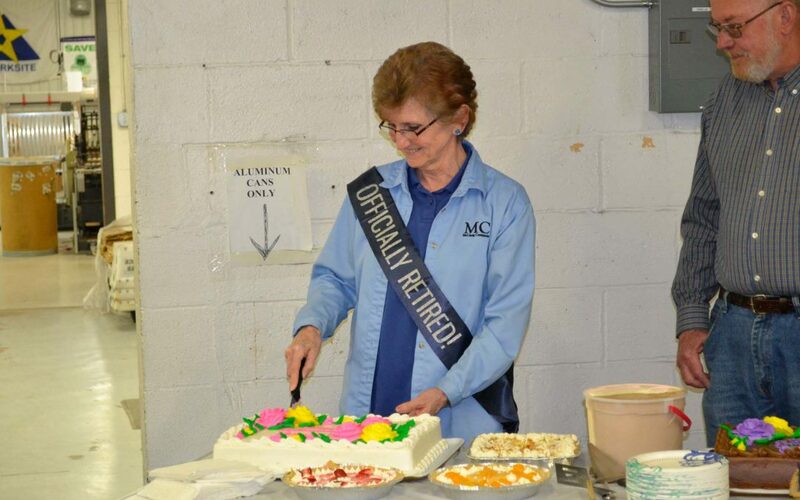 She retired from McClung after 38 years of service. She was the bindery coordinator and also led the shipping and fulfillment areas. JoAnne not only worked hard at her job but also made everyone feel special at McClung. She put together multiple parties throughout her time, whether it was for a birthday or someone retiring. She was always right there to make sure everyone knows someone cared about them. The luncheon included a smorgasbord of food, several toasts to JoAnne and a presentation of gifts and a scrapbook of photos. A number of retirees and former employees attended. Estes and her husband live in Staunton. She enjoys baking, antique shopping, taking care of her flower beds, her church and caring for the elderly.